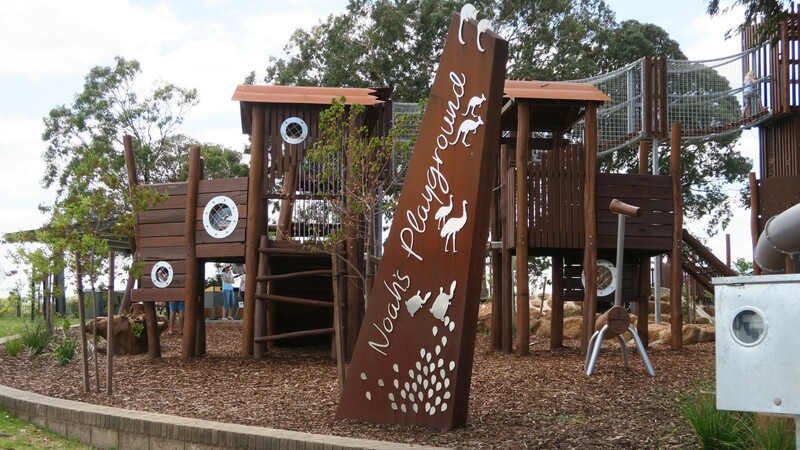 Count the animals two by two at the Noah’s Ark inspired playground at Noah’s Playground in South Guildford, that opened in late 2018. 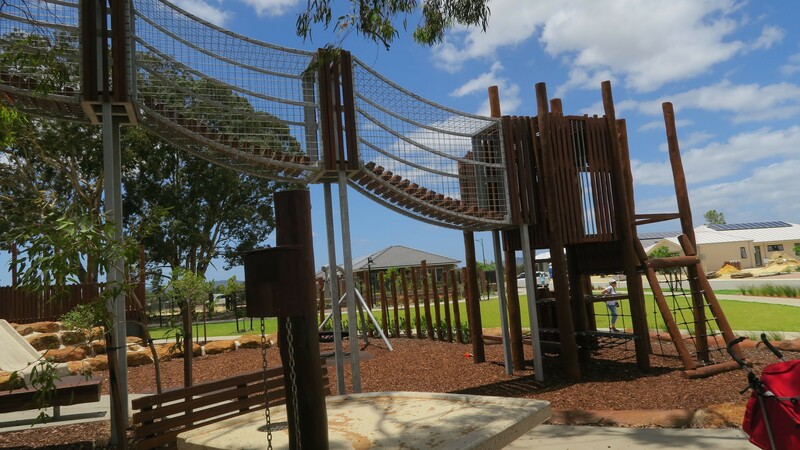 The new standard for local playgrounds has gone next level lately, and Noah’s playground is no exception. 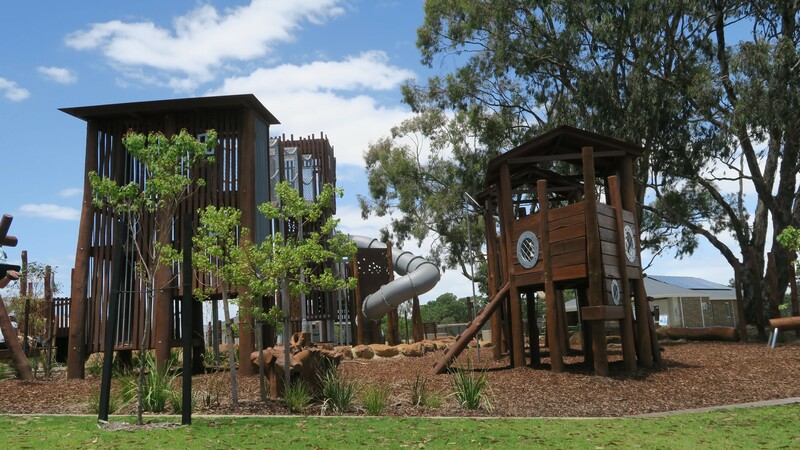 This playground has something to cater for all ages, however is best suited for kids approximately 4 and above. 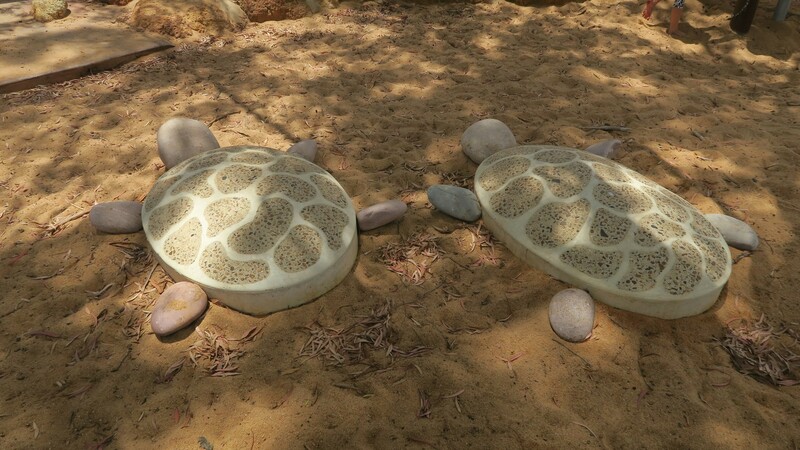 My toddler found he couldn’t climb a lot of the larger structures, so had to stick to the smaller features in the playground. 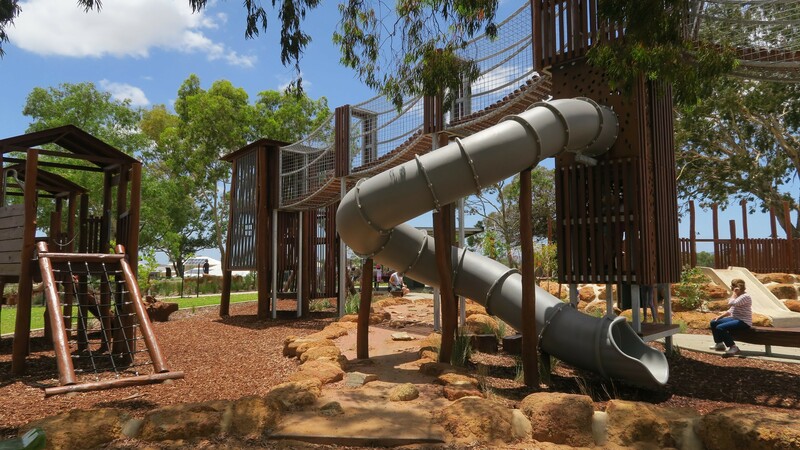 The stand out feature of the playground are the 3 large towers connected by mesh enclosed suspension bridges with a large covered slide from the middle tower. Next to the larger structure is a similar small version in the shape of an ark, with a rope bridge connecting the two towers. 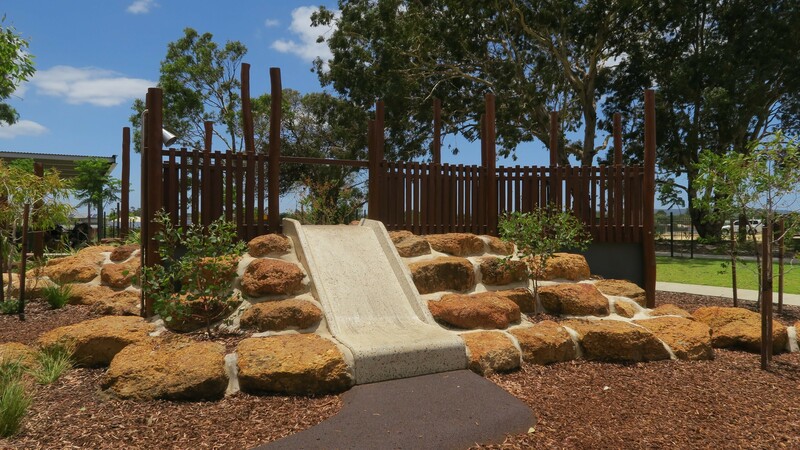 Around the base of the playground are swings plus a basket swing, water and sand play area, and a small concrete slide. Underneath the playground is woodchipped, but there are some large grassed areas just adjacent perfect for some ball sports, with some beautiful large trees providing natural shade. 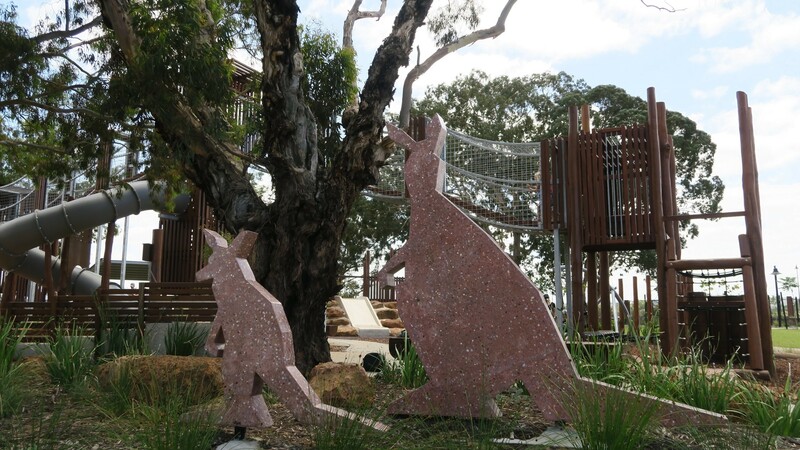 Carrying with the theme of Noah’s ark, there are lots of pairs of Australian animals scattered around the playground. 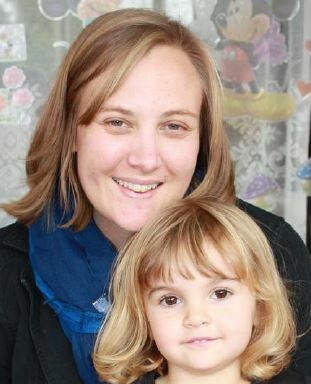 It’s a bit of fun trying to find them all. 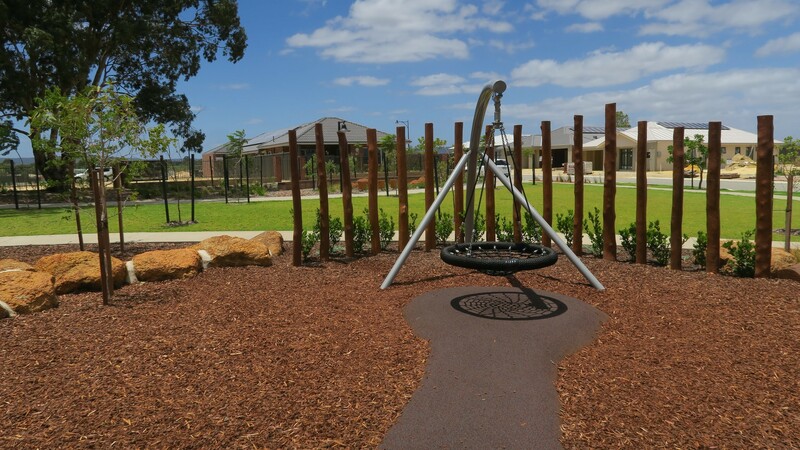 There are also barbecues and a picnic shelter, however there are no toilets and no allocated parking (street parking only). 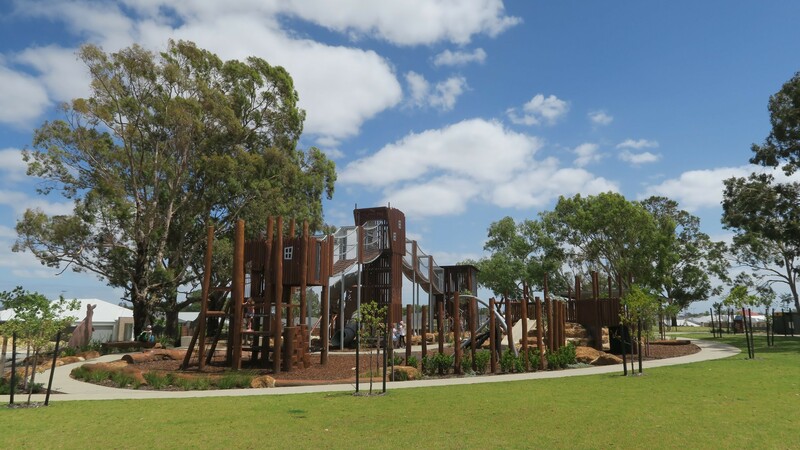 If you are looking for a big playground with lots of adventure for bigger kids in Perth's eastern suburbs you will love Noah's Playground in the Rosehill Waters Estate.